Last month, the day after attending the Philippine Blog Awards, me and my siblings (four of us) traveled to Hong Kong and Macau for 3 days and 2 nights. It was our first trip abroad and it took months of planning because we wanted to personalize our itinerary and did not want to be part of a constricting tour group. Planning for the trip was quite easy because there are a lot of information available online about Hong Kong and Macau but we just wanted it to be flawless and cram as many sights during our short visit. We flew into Hong Kong and stayed there for two days, visited Macau on the third day, and then flew back to Manila via Macau later that day. We originally just planned to visit Hong Kong for our trip but Macau was too tempting to pass off. It’s just one hour away by ferry … much like crossing the strait from Iloilo to Bacolod, heh. I was the one who convinced them to include Macau in the trip given that I was responsible for planning the Macau leg of our itinerary. We ended up not religiously following our original itinerary since we didn’t expect that we would be so tired during the trip. We managed to visit all the major destinations that we planned but I just personally wanted to experience more of the off-the-beaten-path attractions, especially in Macau. For those who want to know if we hired a travel agent … we didn’t take one. We made the itinerary, paid for everything (most of it online), and toured HK and Macau ourselves. To save on airfare costs, subscribe to the Promo fare alerts at Detourista or the Cebu Pacific Promo page. 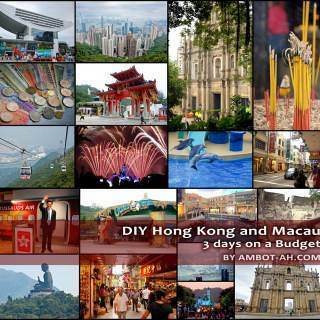 Discover more blogs and travel tips in Hong Kong, Macau. @Babsy: Huo, mayu man kung gamay lang bilitbitun para mas damo ma cover nga places. Are you sure you’re a travel blogger and not just a travel buff? You failed to describe the places you’ve been, your impression of those places, how to get there, expenses etc. I think they’re worth mentioning. People would stumble upon your blog to find tips. They should be helpful. hey “Really?”, as I said, I would post more about my trip to Hong Kong and Macau in future posts (by sections). I will surely include those suggestions you mentioned … If you (or other visitors) have any specific questions for me, I will try my best to answer them based on what I have experienced during my trip. My headline reads that it was my first time traveling abroad, having said that, I really don’t think that qualifies me to be even considered as a travel buff, I am far from it …One of the reasons why I blog is because I want to learn and share my experiences with other people. did you have an agency or not? hi, me & my bf are planning 2 visit hk and macau dis dec.9-13… i would to know how much is the fee for turbojet going to macau? 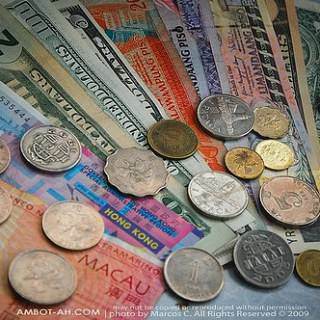 pls indicate if hk $ or $… tnx i hope u can post all your experiences in both places. im really interested… thank you! It’s definitely a great experience gene. Macau was the best part of the trip. Aside from St. Paul’s there so many nice places to go. Most of our expenses are already posted there. I didn’t include expenses in food because I actually lost track of how much we spent. Though, we didn’t spend a lot on food because we mostly ate in McDonalds or bought stuff from 7/11 stores. I’ll try to post a summary of our expenses in future posts. If you’re a Philippine resident, you don’t need visa for Hong Kong and Macau … you only need your passport. hmmm… you’re welcome joanne … i’ve already answered that question here, I should probably put a note on my post now, hehe. We didn’t get a travel agent. hi,did u check in sa venetian?kc sbi mo u left ur luggage sa concierge… wer going to macau dis jan1 and hk dis jan 4… pde mgiwan ng gmit khit hnd nkcheck-in sa hotel? 2days macau-3days hk… tnx again… we already visited venetian last nyt. we will visit st.paul l8r @ 5pm,so tired walking @ senado square.tnx again,hapi new yir! cool. Grabe, 5 days … Inggit ako, hehe. Happy Tripping! huo ..Ilonggo ^_^ Travelling in Hong Kong is fairly easy … the only hard part we encountered was finding the the peak tram lower terminus in Central Hong Kong from the Star Ferry Pier. hi, we really enjoyed our 5days trip 2 macau-hk, bitin p nga eh… umaten kc kmi ng ksal sa hk kya nsyang 1 arw n pasyal. cguro blik nlng kmi ulit. me delikadong part sa hk, mongkok ata un. 6 cases n dw n meron ngtatapon sa mga tao ng chemicals prng acids ata. so better be extra careful. tnx again… san country nxt 3p mo? ipost mo ulit ha… =b more power! nice nice… I’m glad I was a part of your successful trip, naks. Time-out ako muna sa abroad trips, gusto ko muna mag ikot dito lang sa bansa, hehe. wala bang pahinga ung pag travel nyo? we been to HK-Macau-shenzhen china last year for a 5N/6D trip free from our company pero we haven’t toured as extensively as u did. palaging pagud na pag balik sa hotel. 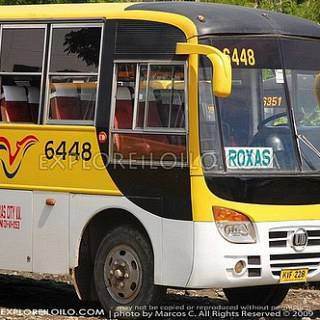 di ko na rin pinalampas ung double-cab nila, wala atang ganon dito sa atin. di ko nagustuhan ung st. paul ruins. ung mga temple na pinuntahan namin, pa picture picture nalang kasi di ko naman alam kung sino ung mga dyos nila. u should have visited shenzhen china. 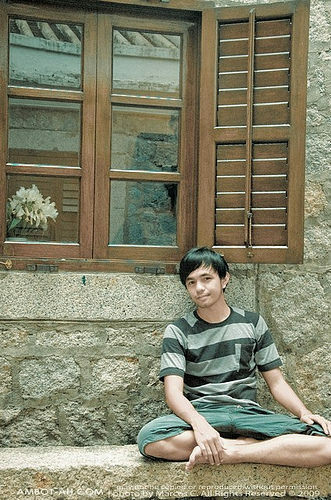 napakaganda nung windows of the world nila. pati na rin ung China Village ata yon. u do need a visa to enter china via train. sayang di na kasali sa itinerary nyo. ang pinaka ayaw ko sa lahat e yong jewelry factory na must sa tour na kinuhaha namin. duon ko na intindihan bakit galit ung bossing namin pag pasok pa lang sa venue. hehe.. chinese people can be quite persuasive on selling their products. nasisira ung budgeting namin. btw, we’re planning of going to Thailand anytime soon. i’ll be needing more blogs tungkol doon.. backpackers are most welcome. pls helllpp.. thanks! medyo walang pahinga … tight kasi yung schedule kasi 3 days lng kami. Haven’t been to Thailand yet (no budget, hehe) so I don’t think I can help you with that. I’m sure there are lots of blogs about backpacking in Thailand. Hello, this is from Macau, I will go Manila FEB 11-14. Next time will go to Bacolod again. 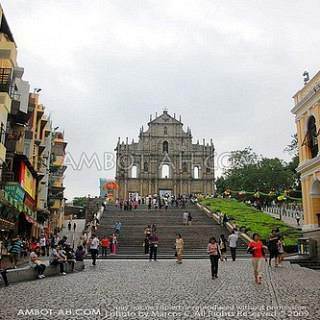 Just stay Macao 1 day? You not yet go to Macau the other 2 island. Taipa and Colowan. Thanks for visiting my blog. Yes, we only stayed in Macau for one day so we didn’t get to explore much of Taipa and Coloane. I’ve read that the beaches and natural scenery there are great, so unfortunate that we didn’t have time to visit them. That Thailand trip is just an idea, I hope I can save enough money so I can go there, hehe. Iloilo (and the whole of Panay Island) has no active (or even dormant) volcano. Negros Island on the otherhand, where Bacolod is located, has a volcano named Mt. Kanlaon. You shouldn’t have to worry though, since the island is not in any danger right now. Iloilo experienced a great flood last year but it doesn’t happen frequently … and not all of Iloilo experiences floods … there are many safe places to stay. If you’re finding a place outside of Manila, I suggest you try cities in the Visayas group of Islands like Iloilo, Bacolod, Dumaguete, Cebu. Have a safe trip Sandra. Are you talking about will go Thailand? Most of the Thai people don’t understand English. Is very hard there to ask people anything. But 2 times have a chinese Thai people auto come to me for help. I saw one of your photo Iloilo has a active volcano. Do you know Bacolod has volcano or not? I am finding the place no volcano no flood. Cause I am thinking go there find a place to help same poor people, Manila so expensive everything, that is why need a save place and convience. Philippines is so big, I feel so tired alone to search everything!! If you want send me email, pls. make a title Marcos from net. Cause so many rubbish email send to my box like a boom. hi.. just wanna thank you because your blog has helped me a lot during my recent tour to hk/macau with my co-employees. though its my second time, but still its hard to make an itinerary especially when the whole group depends on you (i was their tour guide for the whole trip) and your blog made my job a little bit easy. i was also inspired by the photos youve taken, so i bought myself a nikon d5000 in macau because i wanna practice photography.. salamat gid sang madamo!! halong pirmi! Hi! I cannot access your blog about the summary of your expenses in Hong Kong and Macau. I would really appreciate it if you could send it to me. It will really help me for our trip this summer. Thank You! By the way, your blog is very very helpful for us, especially for those who are first timers. hi, can i ask how much is hong kong-macau ferry transpo? thank you. Hey, just a few questions. We’re going to Hongkong this October, you went there October right? What’s the weather in Hongkong in October? 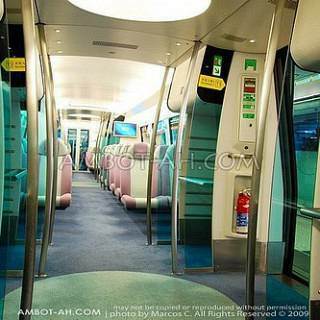 And like in riding the MTR going to Central MTR, how would you know that it is already in the Central MTR? When we went there the weather was mostly sunny but there were a few times when it rained. You would know if you’re arriving in a certain terminal because there’s an announcement if you’re approaching a stations … like LRT and MRT in Manila. In September, I will have my first trip abroad to Hong Kong and Macau with my friends. We will arrive in Hong Kong on 12 midnight… and we decided that we will head straight to Macau (after leaving our bags in a hostel in Hong Kong). We thought of heading straight to Fisherman’s Wharf upon arrival and then proceed to Venetian, Senado Square, Ruins of St. Paul’s and the A-ma Temple… However, we want to maximize our stay there and we are afraid we might miss a couple of places that we can just cram in our DIY itinerary. Do you mind helping me and my friends with our itinerary? With very limited time (we will only stay in Macau till lunch time) and money to spend (more or less 10K), we do need some tips from those who already been there. If you’re pressed on time, you could always take the taxi to get from one place to the other … since you’re in a group, I think it wouldn’t be very expensive. Take a taxi/bus back to the ferry terminal. Mark, thanks for giving us tips. Im planning ti treat my family early next year to Hongkong-Macau trip. How can i book in wing sing hotel and how come you enter thru hongkong international airport and going home to Macau airport walang bang problema iyon. puzzled lang ako. Thanks for your help . Yes what you should present when you check-in for your flight. Actually, the most important part of the printed itinerary is just the notification that your (plane ticket) payment is confirmed and its confirmation number/code. Very good post with many interesting ideas! 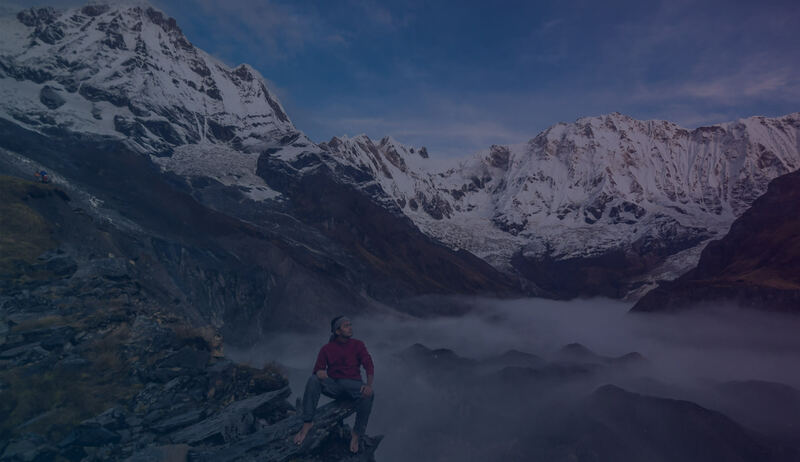 I can’t say that I totally agree with all that you have suggested here, but there are a few critical suggestions you have emphasized that can be quite useful on travel tips and related topics. Please continue providing more suggestions on this topic and related topics, as there are plenty of people who are working to get to know the pluses and minuses. Hi! My husband & I will visit hongkong this march. We haven’t made reservations for our hotel yet. Although we have our plane tickets already. Just wanna ask how much do we have to budget for the hotel? hi! my family is planning to visit hk & macau this april.just want to ask where did u leave ur baggage in macau?how much did u pay for it? I find your blog very helpful. I am also planning a trip w/ my family and looking for budget hotel. I find wing sing hotel room rate very affordable, but I am worried for there are so many negative reviews about it. Very small, Towels and Bedsheets are not clean, with cockroach, even the toilet is not clean. How about you, any comment regarding the hotel? Indeed the room and bathroom were not very spacious … I’ve already expected this since it’s a budget hotel. I didn’t notice any dirty towels / linens or cockroaches during our stay. We just needed a bed to sleep for the night and Wing Sing Hotel was enough. Yan rin maraming nag sabi … that they found out about my blog because of my Hong Kong-Macau posts. Nice to meet you during the corregidor adventour. Kung nasa Manila lang ako sana, I could get the chance to meet-up with you guys more often… Just drop me a message if ever you’re in Iloilo. thanks for this…really, really helpful….continue exploring the world. thanks! Thanks for sharing! =) This blog is very helpful. Astig din yung mag shots mo. I’m planning a trip with my family this Nov. We’re going to HK then Macau. Our return flight to Manila will also be from Macau just like your trip. I just want to ask about the transport of luggage in the ferry going to Macau. Did you have your luggage checked-in? How much did you get charged? I’m worried we’ll have to spend a bit on this since we’ll also do some shopping around HK before we go to Macau. Thanks. We didn’t check-in out luggage because we only carried light backpacks during our trip and brought them as carry on. hi i’d like to ask how much was the rate/night of the hotel you stayed at hk? and what was the name of the hotel? & also the total expenses per person which was 21k plus, does it include the food already? breakfast-dinner? Hello po, since nakapunta ka na ng hongkong, tanong ko lang Kung kailangan ba ng visa. 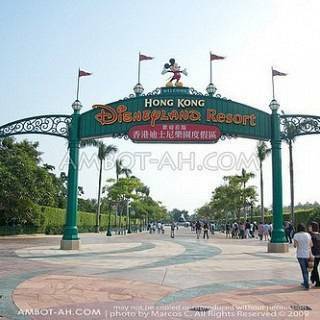 I have plan to visit hk disneyland, pag uwi ko ng pinas from Australia ngayong april 2012 with my sister’s… Or passport lang ba ang kailangan at saka round trip plane ticket??? Hoping to hear an info from you… Thanks in advance!!! Philippine passport holders do not need visa to travel to Hong Kong. If its near Senado …. I think you could take Bus #10A too… not so sure with the fountain show schedule at Wynn. Hi, really appreciate what you’re doing, specially for the local travel industry. Just want to ask what other budget hotels you considered in HK aside from Wing Sing Hotel? Any idea on Chung King Mansions? I heard these are also in the budget hotel category. May I also ask what camera/s you use in all your travels? Your shots are great! Lost my HK planner files already but I also remembered considering Chung King Mansions. Wing Sing Hotel was recommended by my sister’s friend so we chose it over the others. I used a D40 with Nikkor 18-105mm during this trip. Hi, Impressive! I learned a lot from your blogs. I’m a poor traveller, and I been to Sydney, Thailand, KL-Malysia, Penang, Batam Indonesia, Singapore, Oman and Iran. Currently in the UAE with my job. Been here for almost 4 years. I learned a lot on how to budget your money for the travels you wanted. Before, di ko alam tong mga back-packing travels, pero sa kababasa ko ng mga blogs I learned a lot. Best to suggest also is that bring USD currency wherever you go. Anyways this is a helpful blog for me because my sister and I will hopefully travel to HK-Macau this Feb, 2012 during the celebrations of our birthdays. I do have an idea now on how much will it costs. But my second plan is going to Jeju Island Korea, then to HK. But i already search the flights from MNL to Jeju Korea it quite expensive. 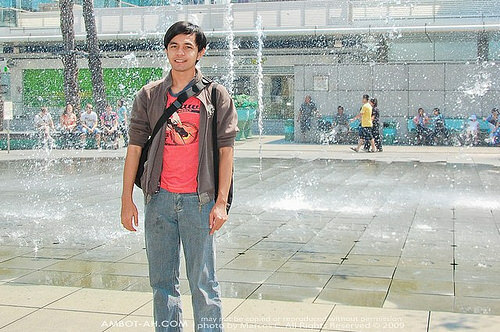 Well saan kaya ako maka hanap ng travel agency to help me with my 2nd plan of travel this Feb, 2012, any advises? Thank you! hmm…. Not so familiar about Korea but I heard that Jeju is particularly an expensive destination to visit. Hi! I read all posts you have made regarding your trip to hk-macau. We were planning the same itinerary as yours. Thanks to your blog. Could you please help us by answering some questions? first, the immigration. You have said we can have brochures and maps there. Do we have to take a ride to get there? or is it located inside the HK international airport? and, do you have any recommended hotels there, those that are deluxe and near the market? Thank you for your help. :) Happy New Year! Hi! my sister and i are planning to go to HK & Macau this coming June. it’ll be our first ever try to fly abroad, kaya medyo clueless ako as to what to expect, how much to save/ spend and what to do… at kung paano makaka-save hehe. ayaw din namin na maging part ng isang group, gusto rin naming gayahin kayo haha. kanya-kanya. yes one-way “Manila to Hong Kong” then “Macau to Manila” both with Cebu Pacific. yep doing the reverse is also doable. hi, your blog was quite helpful. Thanks for the information you’ve given. Thanks for the really useful information Marcos! Am wondering how you search for your flight and hotels? Do you go for holiday packages? Hi :-) When you left your baggage at the The Venetian (Casino and Hotel) Macau concierge. Much did they charge you? Hi Marcos. Read your blog and it’s very helpful to travelers. 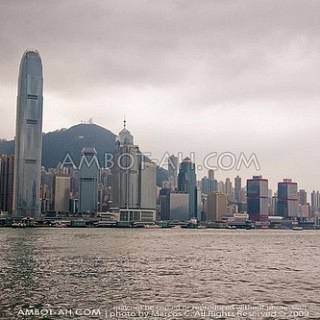 Btw, if you know someone who is planning to go to HK on Aug 11-13, 2012, and no accomodations booked yet, I’m looking for someone to share the Twin room with (booked it because the Single room is not available) at Golden Crown Tsim Sha Tsui. My contact info is 09053184169. Thanks! Hi. Just read your blog regarding your hk-macau trip. Me and my friends are planning to take the tour (hope you won’t mind if we copy your itinerary), see, airasia has ongoing promo, and we are planning to take advantage of it:) our worries, though is, well, the immigratio. We are afraid we might be questioned for staying for just a day in macau? as planned, we will be in hk for 3 days, then travel to macau on the fourth day, the trip back home would be on around 9pm on same day. Hope you can share your experience since as I read, you guys also stayed for a day in macau. Just as long as your present your return flight to the Philippines, it’s okay. hi marcos. i will be going to macau this feb 25 to march 2. two way ticket binili ko. kya lng nagwoworry ako kc first namin lalabas ng country. ang worry is bka kung ano2 un tanong sa immigration dto then ihold kmi and hindi kmi makaalis. sayang naman un pinangbili ko ng ticket. d ba mahigpit immigration pag mag totour sa macau? 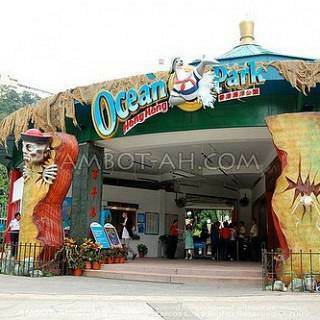 Gud day!ask ko lang po if possible n 2 one way ticket ang gmtn for trip in hongkong (two one way ticket para sa back and port) because roundtrip po ay subrang mahal..we try to book for two one way ticket and it is much less than a price than a round trip..do you think it is possible? you may email me at [email protected],,thank you,,your reponse well help a lot..
Not sure. The companies usually have their own websites where they post their rates. p.s. i think you are one of the recipients of the phil blog awards, am i right? i didnt have the time to read all ur blogs to know about you, but i think you are one. very proud of you. tc. Yes, I’m Ilonggo (from Iloilo also). BTW, you can view a list of my latest travels at the homepage (https://www.ambot-ah.com/). Hi! Do you need to get visa to go to Macau? No, if you are a Philippine passport holder. hi ask ko lng po. i’m going to macau sa feb 25. then march 2 balik ko dto sa ph. two way binili namin na ticket. nag woworry lng ako kc first time ko lumabas ng country. ang worry ko is kung ano nao un itanong sa immigration dto then bka i hold kmi and d kmi makaalis sayang naman ung ticket ko. Bakit kay a pag nag book ako Macau- Manila mop ang currency? Pano kay a babayaran yan sa bayad centers? hi Sir!, ask ko lang ..me travel group po kami sponsor ng company, going to hongkong,pero yung nakuha naming airfare promo is manila-macau v.v., ang hotel reservation namin is in hong kong, kasi yun po talaga ang gusto naming puntahan..magkakproblema po ba yun dito s philippine immigration? ang sabi po ng iba baka hanapan kami ng hotel booking s macau…please help..thanks. Hindi naman. Just explain to the immigration officers that you are only visiting Macau for a day trip. how much was your pocket money then?